There are many reasons why a person might experience wrist pain or stiffness in their wrist. This type of pain can come on fast or occur over time. Sometimes a person can feel pain in their wrist because they pull ligaments or muscles in their arm. However, wrist pain can also occur due to tennis elbow or other conditions. A Chiropractor can help you relieve or cure most wrist pain and stiffness issues. Continually using your arm in repetitive motions. A trauma to this area of your body. 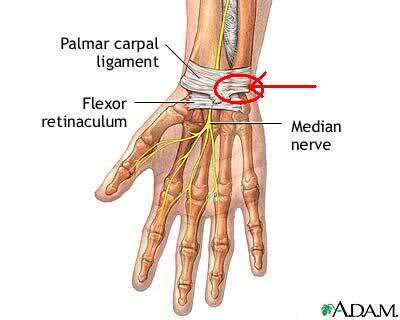 A more severe condition like Carpal Tunnel Syndrome. There are many reasons why you may be experiencing wrist pain, but the main thing to remember is if you are feeling pain in your wrist than it is important for you to seek professional help like the aide of a Chiropractor. A Chiropractor will be able to diagnose your pain thus find the cause and help you live a life without pain. The causes and seriousness of this type of pain is so varied that the Chiropractor will need to pinpoint the reason for your pain to be able to treat your issues appropriately. You need not worry though because Chiropractors are specialized in treating wrist pain and stiffness. Sometimes, they can even help you eliminate the pain completely, which means you will be able to live without wrist pain causing problems in your every day routine. In some cases, A Chiropractor can help a person modify their lifestyle so the wrist pain won’t come back to bother them ever again. If you are experiencing wrist pain, please call Hoffman Chiropractic at 815-937-0446 for wrist pain relief. You can also visit the Hoffman Chiropractic office in Kankakee Count for non invasive wrist pain treatment. Hoffman Chiropractic Neurology is here to serve Kankakee County, including the cities of Bourbonnais and Bradley with Chiropractic Care. If you are suffering from low back pain, neck pain or headaches, then it would be a great first step to try a noninvasive approach to regaining your health by trying chiropractic care. Copyright © 2019 Hoffman Chiropractic Neurology All rights reserved.